Go2poll is an online Free Remotely Hosted Poll Service. You can create your own multiple polls and easily plug them into your web site. Web Polls is an alternative way to increase hit rate to your site. Some features of Go2Poll are unlimited variants of answers for defined question,Unlimited polls per account, etc. You can get your own polling, voting or survey system or voting booth servicel. Add to Free Vote, Poll or Survey to your web site a Great webmaster tool is interactive polls. 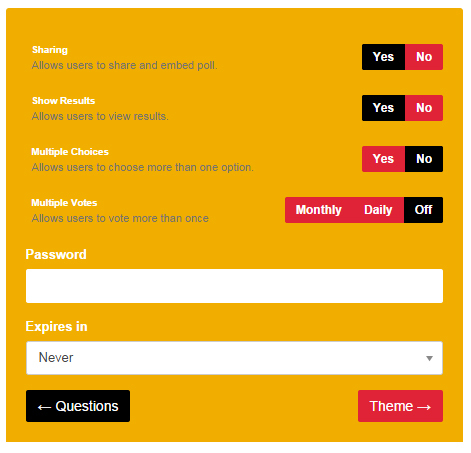 Full online poll or survey creator or quizzes admin control panel to update your polls, surveys, voting booth or quizzes Get Free poll by Sign-up . You can try the vote, polls, surveys services like you'll see it on your site, if you look to the right of this page, Try Free Remotely Hosted Poll Service for FREE ! 수락 계정 을 만들어 우리의 이용 약관. 166 설문 조사 가 생성되어 성공적으로 전달 했다. 6273 사용자 가 질문에 대한 답변 했다. 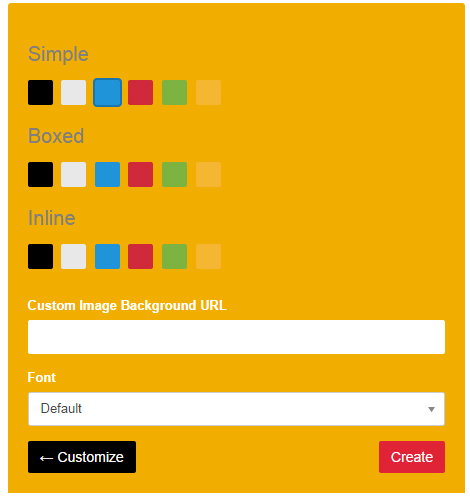 Unlimited Customization : With Go2Poll, you can customize every aspect of your polls with advanced poll features like sharing on facebook or twitter, multiple votes, expire dates, styles (Inline, boxed or simple) customized image backgrounds, and font sizes as well as wide range of colors. Password Protection : Want to create private polls, get security with Password Protection, make your polls protected for limited set of users. Responsive/Adaptive Polls : Our polls works on everything from desktop computers to tablets, smart phones, mobiles, netbooks, notebooks as well as ipads etc. Get maximum exposure from mobile users, offer responsive designed polls for your readers and get maximum results. Fast Loading : Go2poll on internet since 12+ years catering 50,000+ users and 1000,000+ votes, never down and slow in providing services. You can trust on Go2poll in uptime and fast loading. 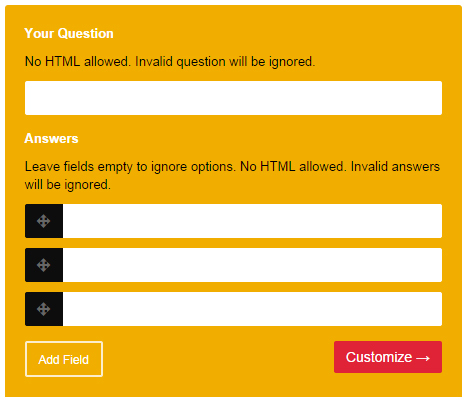 High Quality Designs : Now provide your web readers with various design options for your polls. 단순. 당신은 그것을 믿지 않을 것이다. No need of any programming or HTML knowledge, Design what you have in your mind and publish with one click. Now you can manage, analyze and export your data.